While promotional gifts are usually used for business promotion, they also work great for making a birthday party special. We have supplied plenty of Perth birthday parties with various items for birthday party favours and decorations. Here are some ideas. 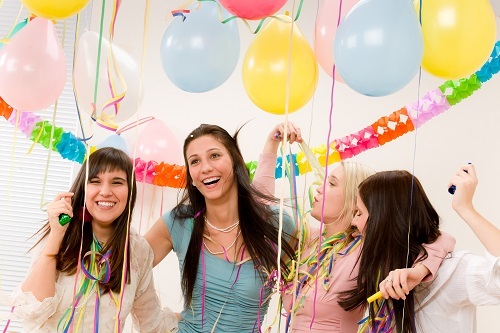 If you want to make a birthday party really special, a large banner will definitely separate it from a standard party. Imagine one of our standard sized banners, 2m x 1m or 3m x 1m, on the wall or above the doorway of a birthday party. We love banners for “landmark” birthdays, such as 30, 40, 50, 60, etc. Really, though, a vinyl banner can help make any birthday special. Balloons are always a hit at birthday parties. Instead of the standard “happy birthday” balloon, imagine a balloon with the name and age of the person being celebrated. We can provide balloons in festive colours with any name, number and message you want. Custom balloons make a birthday party special for everyone. Mugs can be personalised with the celebrant’s name or with a theme for the party. They can also be used to hold candy or other favour items. They make great anchors for balloons, too. Stubby holders commemorating the party are very useful and one of the more fun small favour gifts for any party. Since all parties have cold beverages, the stubby holders can be used during the party to keep cold beverages cold. Some will get taken home and some will be left behind. This means you will remember the party for a long time. We carry plenty of other items that make great party favours or can help make the party special. From children’s parties to an 80th birthday celebration, we can help you choose exactly what you need to make your next party one to remember. You will be surprised how little it costs to take that extra step and make everything at your party personalised. To place an order or to learn more, call (08) 92444 111 today.